Horse evacuation plans aren’t always going to pan out as intended, according to researchers, who stress the importance of flexibility in dealing with potential threats such as bushfires. The latest Australian research shows that bushfire horse-evacuation plans can’t always be implemented. For example, people can easily underestimate the time it takes to load horses in stressful circumstances, let alone the likelihood of success. “We want people to think through multiple scenario-based planning,” says cultural anthropologist Kirrilly Thompson, who is with Central Queensland University’s Appleton Institute. “The point is that we focus too much on having a single plan,” she says, “and at the end of the day it doesn’t really matter how the plan translated into action. That shouldn’t be a metric for helping to prepare the community. Thompson and fellow Appleton Institute researchers Laura Haigh and Bradley Smith, in a study published in the International Journal of Disaster Risk Reduction, explored the plans and ultimate actions of horse owners facing a bushfire threat, and the implications of what they learned. Previous research has shown that the presence of companion animals can result in households failing to relocate from the path of a fire threat. In Australia, where bushfires are a regular summer threat, householders are encouraged to develop a written bushfire action plan that includes pets and animals. They are urged to relocate with their animals at least the day before a forecast catastrophic fire day. It is all about preparedness and planning, Thompson says. In their study, Thompson, Haigh and Bradley Smith undertook interviews with 21 non-commercial horse-owning households threatened by one of three significant fires in South Australia in January 2014. The trio found that around half the households had strategies in place to deal with their animals, but intentions did not always match actions when under threat of fire. They found no apparent patterns between intentions and actions for pre-emptive relocation of horses. The researchers acknowledged that planned actions are not always possible for reasons that include the unpredictability of bushfires or animal ownership. Evacuating from a fire threat with a horse was not only vastly different compared to a dog or a cat, but some households may be trying to evacuate both small and large companion animals – and not necessarily from the same property. “In fact, horse owners have been singled out by emergency responders as particularly challenging to manage,” the researchers noted. “Weighing in at around half a tonne of sentient, decision-making animal, there are many practical challenges to consider when evacuating horses from the threat of a natural disaster. Across the 21 households, there were 21 women and 19 men involved in the interviews. Two households had single occupants, both females in their 50s. Women ranged in age from 24 to 75, and men from 23 to 75. Ten households contained children. Ten of the households (48%) had incorporated horses into their bushfire plans, not all of which were written down. The study team described the actions of the different households as bushfires threatened, finding plans weren’t always able to be put into action. One, for example, had plans to evacuate their horses but they would not load. Others had intended to stay to defend their properties and horses, but came to realise the scale of the fire was too great. Two households had no horse plans because they belonged to their neighbours, and another household was caught unaware of what to do with horses on their property as they were being agisted. There was a diversity of plans, intentions and ultimate actions for horses, but execution was not always possible. “Inconsistency between intention and ultimate action is not in and of itself necessarily concerning,” the trio said. The researchers proposed greater educational emphasis be placed on making informed decisions and developing more logical conditional-based approaches. “This could entail advocating ‘if this scenario, then this response’ planning with contingencies, rather than advocating one response for horse owners to the detriment of preparing for other scenarios. “Whilst pre-emptive relocation might be the ideal response to a potential bushfire threat, it may simply be unrealistic. However, the pre-emptive relocation of horses may simultaneously remove humans from the threat of a natural disaster, they said. One in particular delayed reacting to the bushfire threat because she did not perceive her horse to be concerned. “There is no empirical evidence to suggest that equine responses to fire threats are reliable indicators of the significance of that threat. “Second, the strategy of opening external gates and letting horse free appears to remain a commonly employed or at least considered strategy. This response is not recommended; it may cause accident or death to humans and horses on roads, especially under compromised visibility such as thick smoke conditions. Question also arise around horses being kept at other people’s properties. 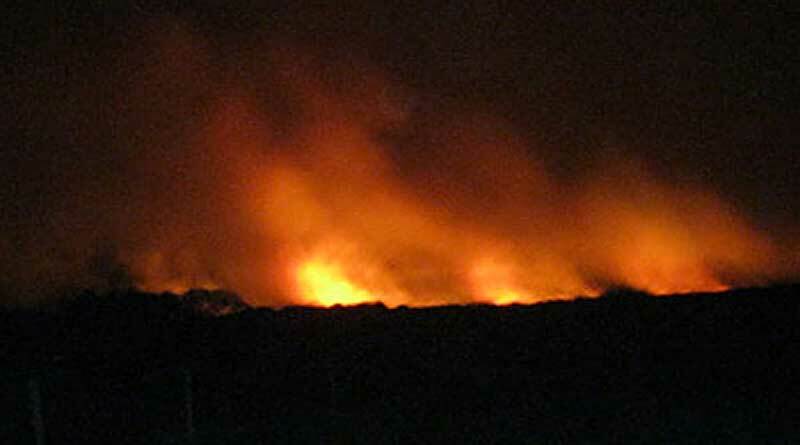 “Owners may travel into threatened areas to defend, evacuate or check on horses. For example, hundreds of horse owners travelled to threatened horse agistment properties during the 2003 firestorm in Canberra, but hardly any agistment centres have suitable places of refuge or shelter. Almost half of the households interviewed had considered the welfare of their horses either before the bushfires, through mental or written planning and property preparation, or during the fire event.